by Jessica Lewis	Posted in	Skin	on 14/09/2017 . Having skin like a celebrity can seem like a lot of hard work – and money – that you simply may not have. There are many easy and inexpensive ways, however, that you can use to achieve such a glowing and healthy skin. Celebrities use reliable skincare products such as Obagi Skincare Systems and Swisscode, and you can too! Celebrities need to have skin that looks healthy and glowing at all times for films, TV shows, commercials, and the red carpet. Drinking plenty of water and eating vegetables seem to be a given but they never forego high-quality skincare products to boost their skincare and rejuvenate their skin. A perfect complexion involves addressing every blemish and imperfection on the skin, such as acne breakouts, ageing, and sun damage. Celebrities such as Jennifer Aniston and Courteney Cox utilise Swisscode Pure Hyaluron for a youthful looking skin. It provides the same benefits as derma fillers without the ‘frozen’ look that Botox can induce. According to a news cutout on the Swisscode website, this product sold out in the first 48 hours after launching in Switzerland (PDF) and had a 10,000 people waitlist in the UK. Hyaluronic acid is naturally produced by every cell in the body, and you are assured a gentle product that works with your body’s needs. It also helps to hydrate and plump the skin for a soft feel that will make you look younger. Alicia Keys has spoken about using Obagi products before on her pledge of No-Makeup Movement. She utilises this skincare range to achieve her beautiful, radiant skin with reduced acne, reduced hyperpigmentation, and reduced signs of ageing. These products remove the necessity for surgery by addressing the daily needs of your skin. 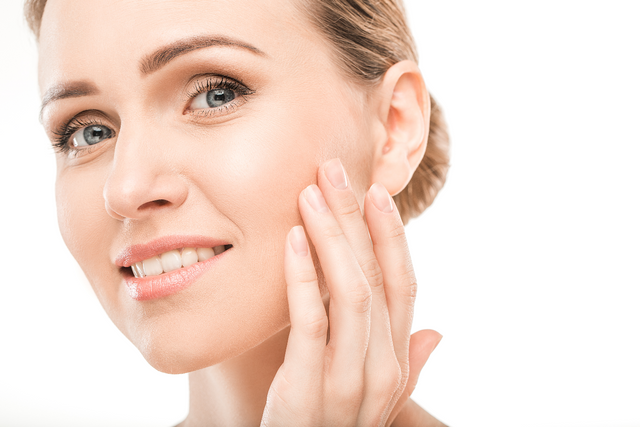 Whether you have dry skin, oily skin, or a combination of both, our experts can easily provide a consultation in which they see how they can help you and meet your needs. We always ensure that the products that you are referred to match your skin perfectly, so that you see an improvement when utilising the skincare range. Taking care of your skin so you can achieve a celebrity look is a daily routine which involves cleansing and moisturising your skin. Salicylic acid is a great component for daily cleansers, as it helps to clear your skin from acne over time. Obagi’s CLENZIderm MD contains this component and helps to break up the bonds that dead skin cells have to the surface of your skin, which allows for a natural exfoliation. This also allows for a decreased build-up of bacteria and impurities, ensuring that your skin looks flawless at all times. Obagi Hydrate Luxe is a great moisturiser that works overnight to give you a firm and supple skin with minimised wrinkles and fine lines. As it can be utilised by all skin types, you are assured a high-quality solution that works on your entire skin – particularly useful if you have combination skin. Should you require deep moisturising, this product has both immediate moisturising properties and gradual delivery of moisture over eight hours of use. With a wide range of skincare products developed by experts to ensure your skin has only the best possible treatment available, here at Skinstation we’re always happy to help you find what suits you and your skin. Simply get in touch with our professional and friendly team!